The electric strike cylindrical lock solution for all ANSI preps and the kit for smallest electric strike in the world. Fits in tight with header. 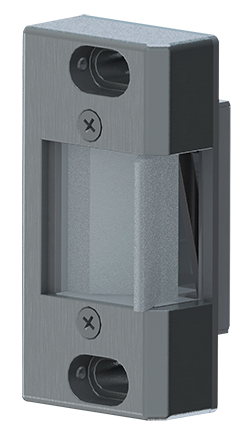 The Vertical Rod solution utlizes the reliable 3000 series mechanism to offer the smallest solution on the market for vertical rods. This Model utilizes an external line conditioner (LC100) module to regulate input voltages, 11-28 AC or DC, and conditions the output for the pull-in activation period. Then reduces holding voltage output for continuous operation and reduced heat. The LC100 provides current and voltage surge protection and kickback protection. LC100 must be used within 15' of the mechanism.